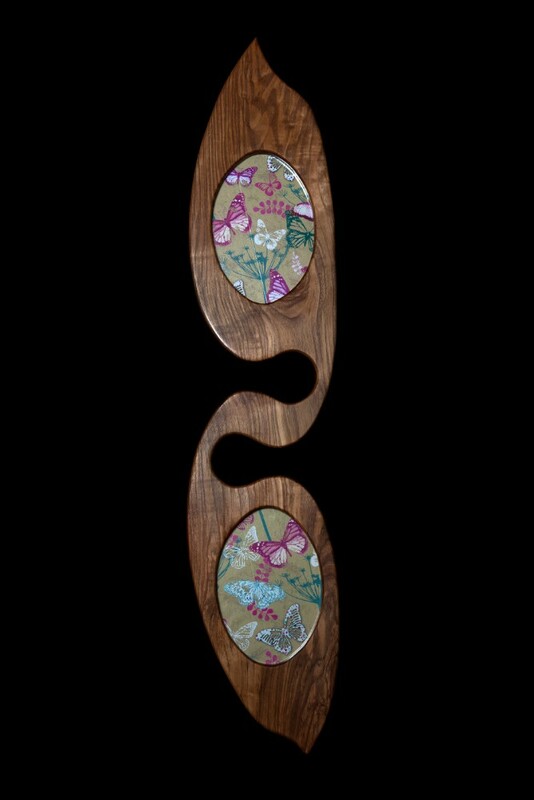 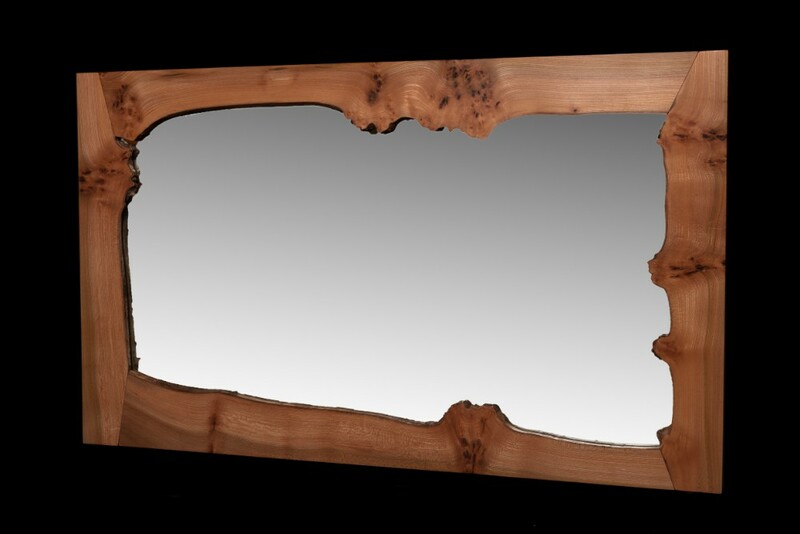 Range of fully framed handmade mirrors, available in 6 sizes. 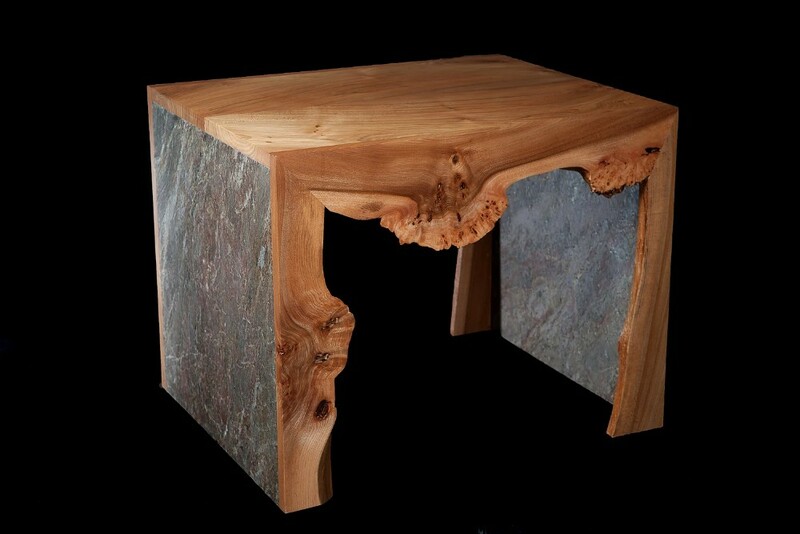 Made from Burr Ash. 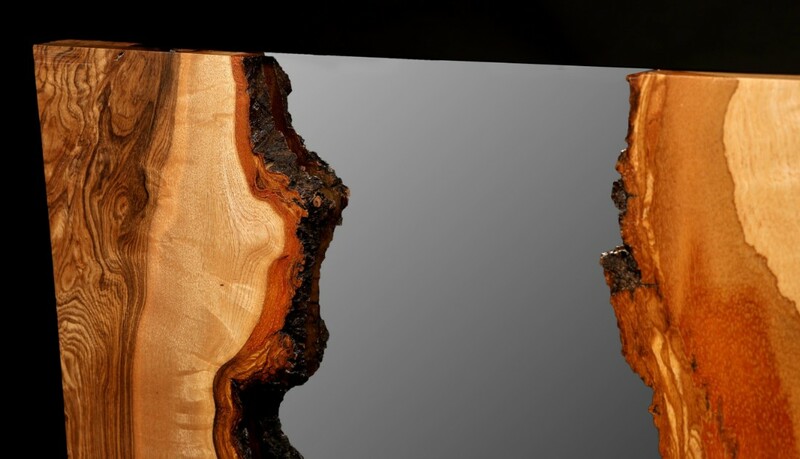 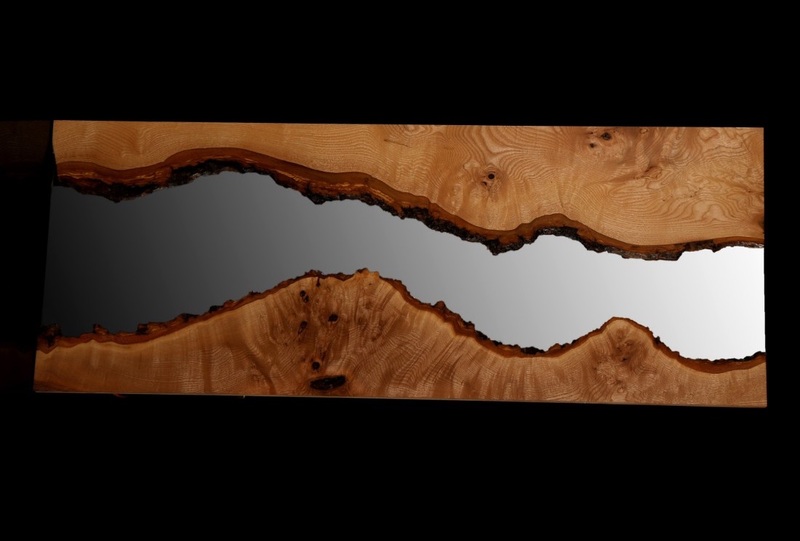 As each piece created is unique available mirrors will vary from shown examples. 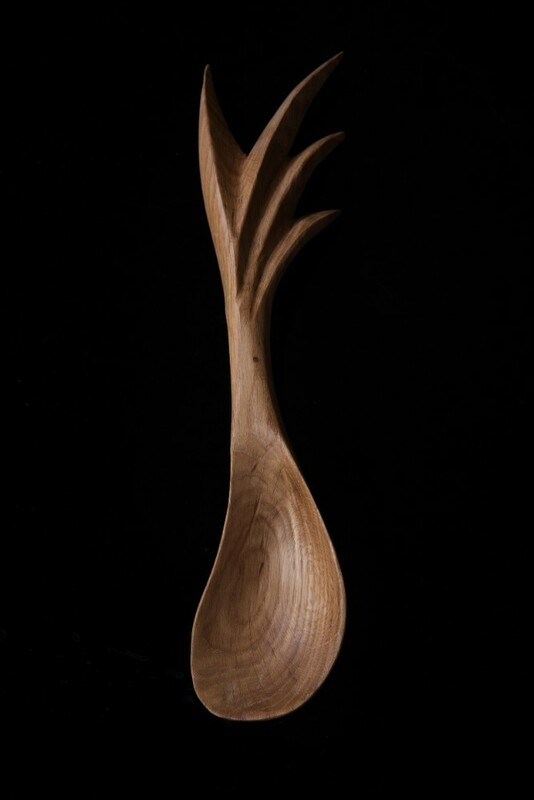 Sizes: 117 cm W x 69 cm H.
The design of the spoon has been inspired by the Orkney Seascape. 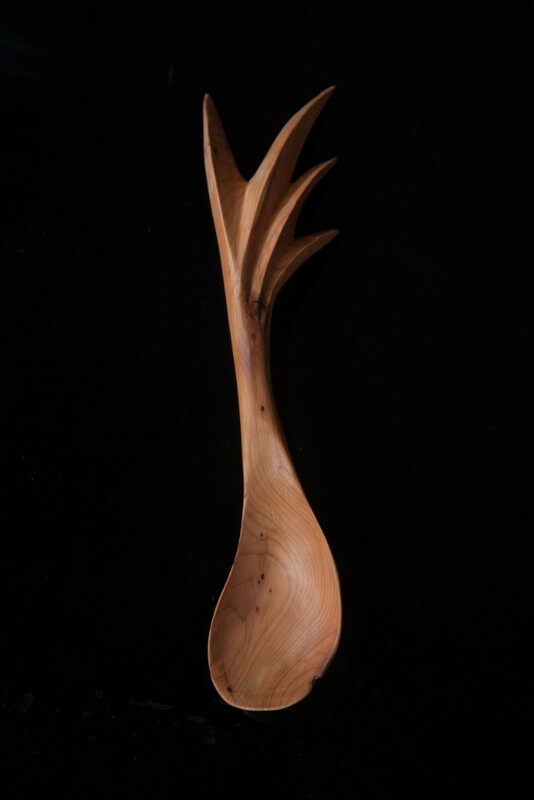 The handle represents the crashing waves on the shoreline and the spoon mimics the shape of the mussel shell that can be found scattered amongst the pebbles and sand along the beaches. 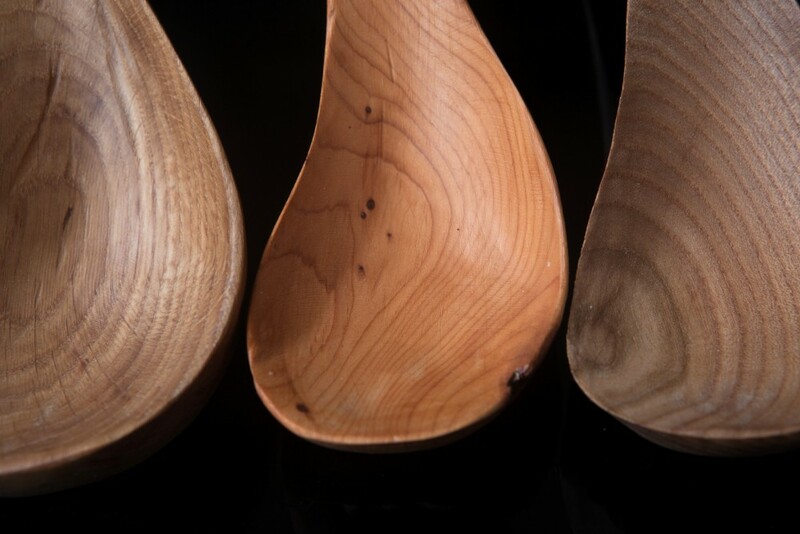 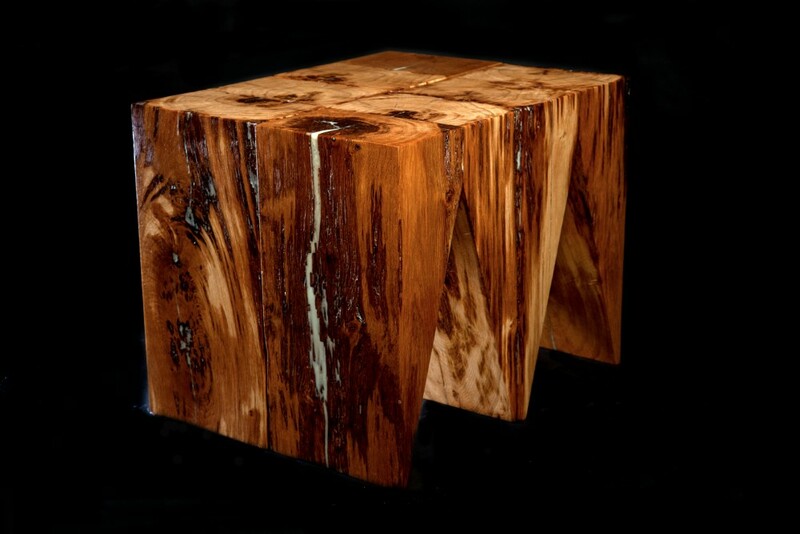 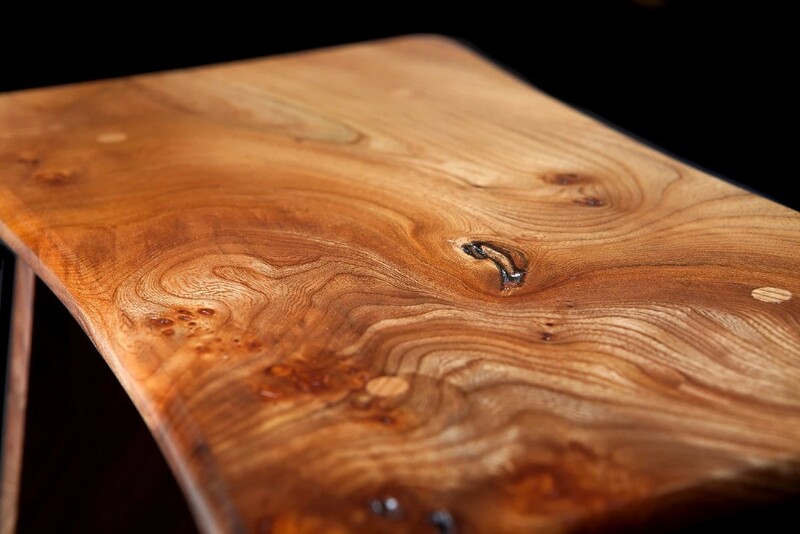 Available in Elm, Yew, and Oak. 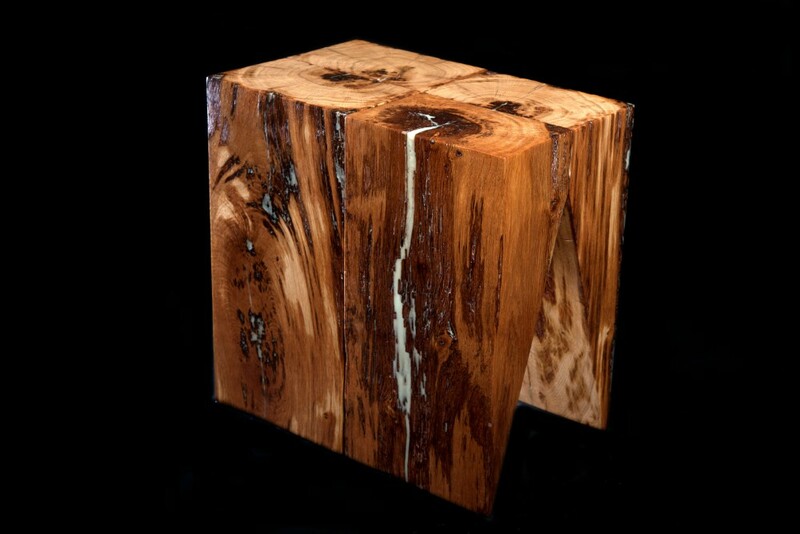 Oak, Ash, or Tiger Oak. 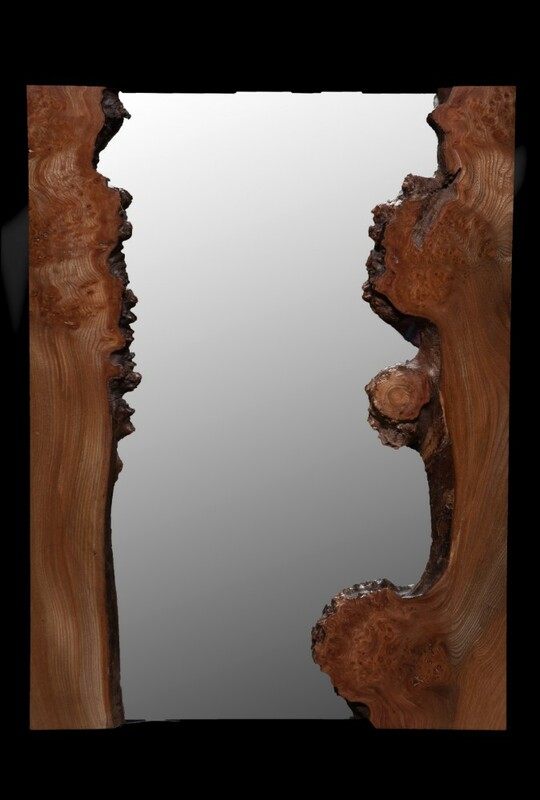 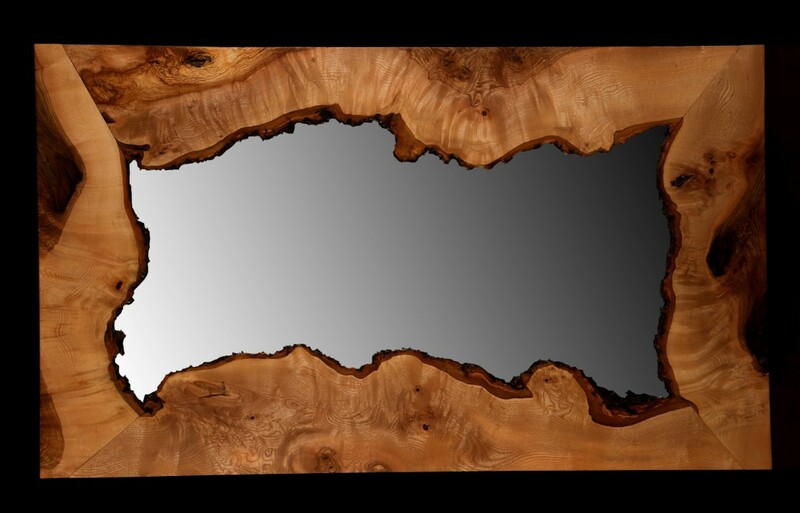 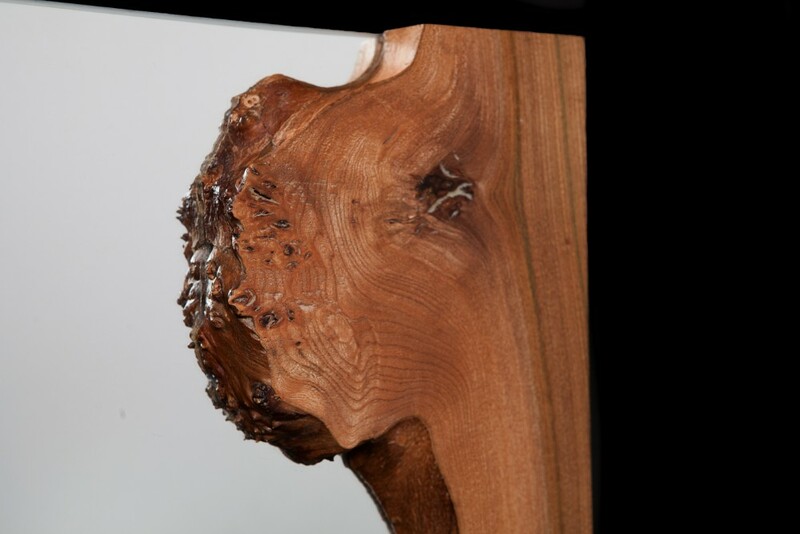 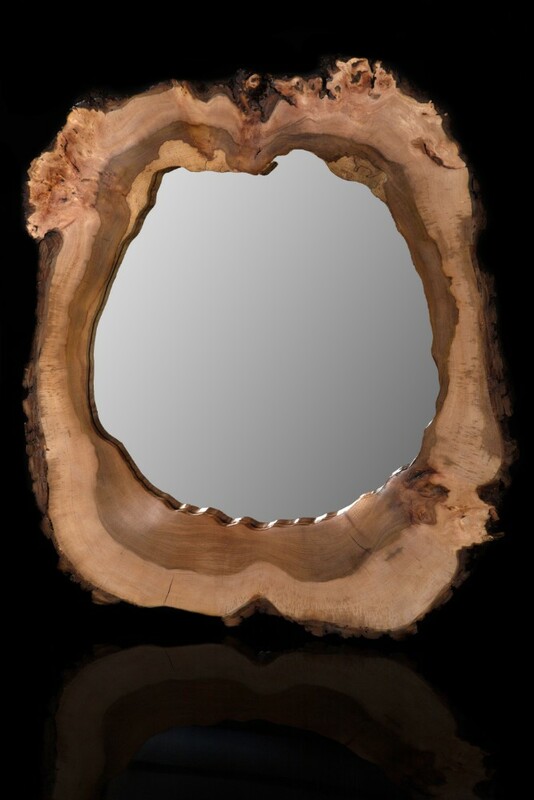 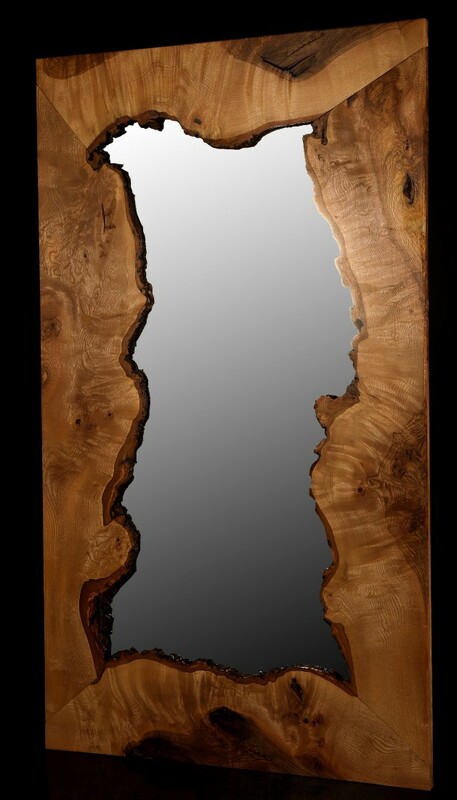 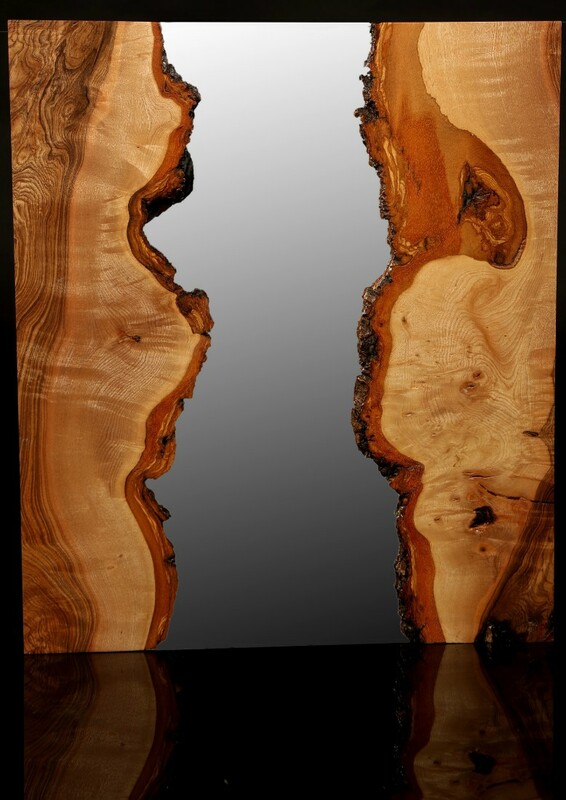 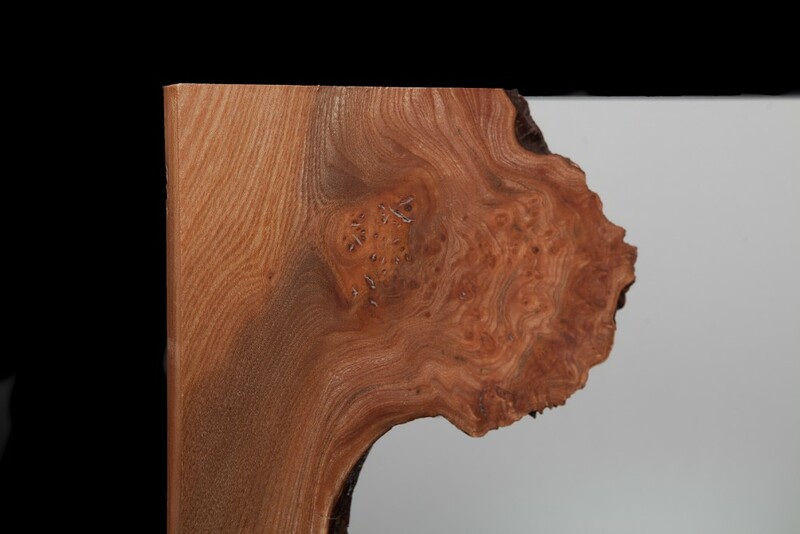 Mirror handmade from burr elm. 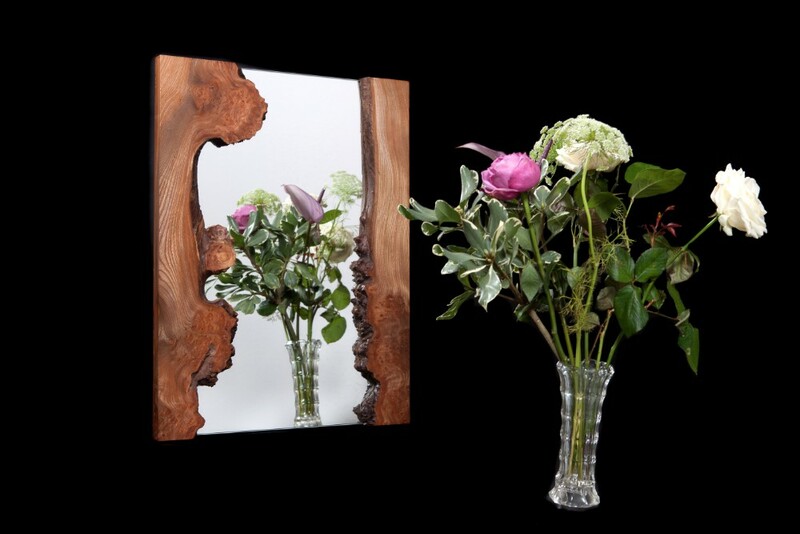 Range of fully framed handmade mirrors, available in 6 sizes. 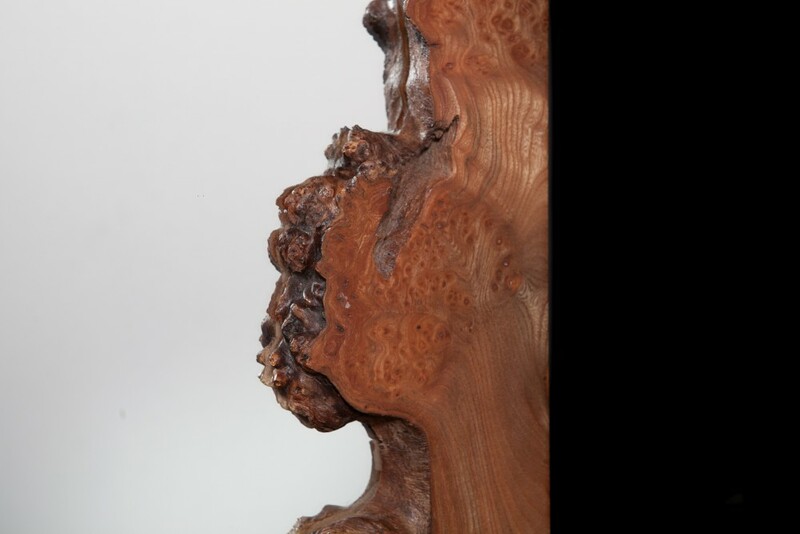 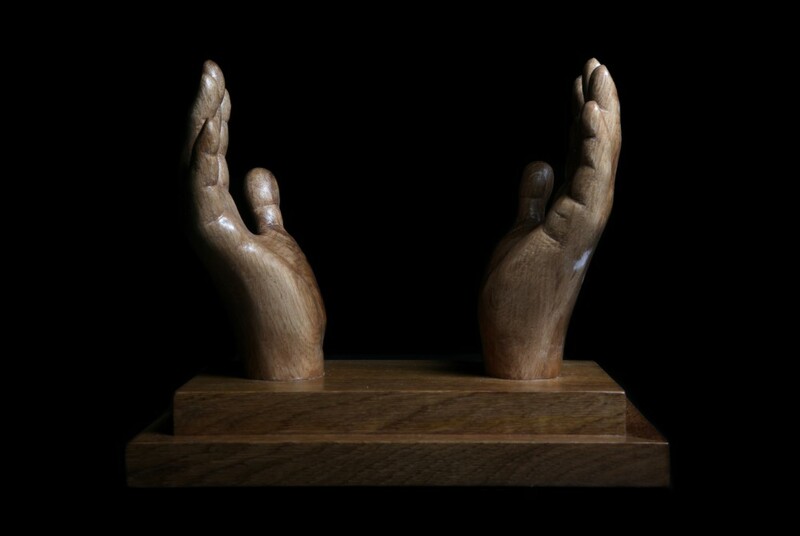 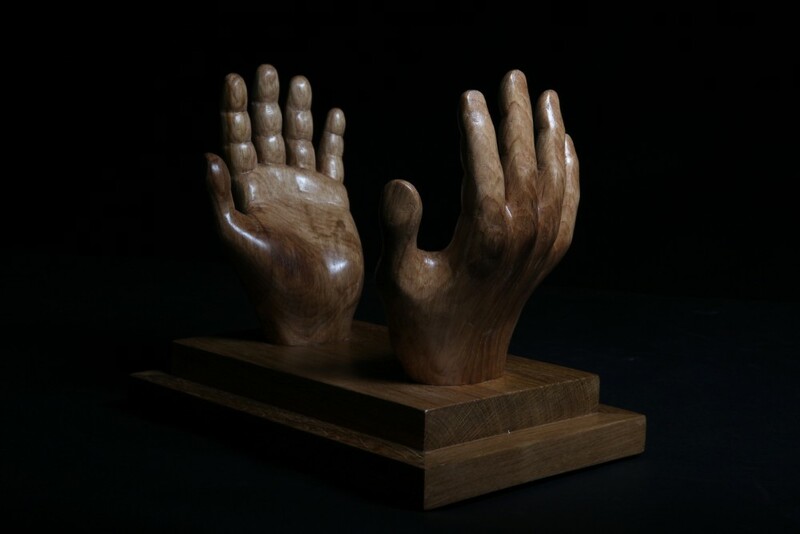 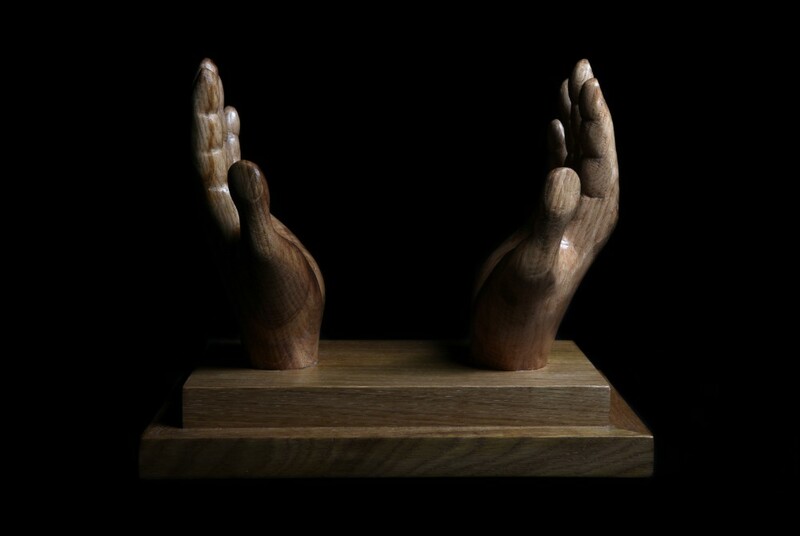 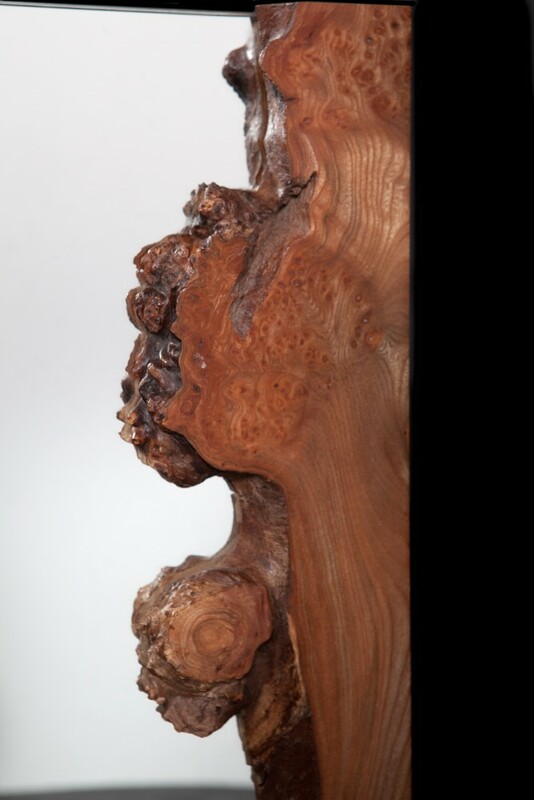 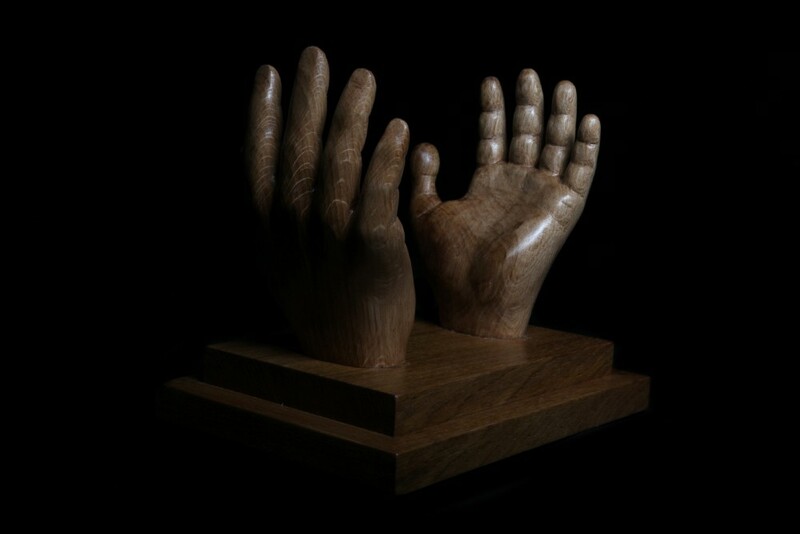 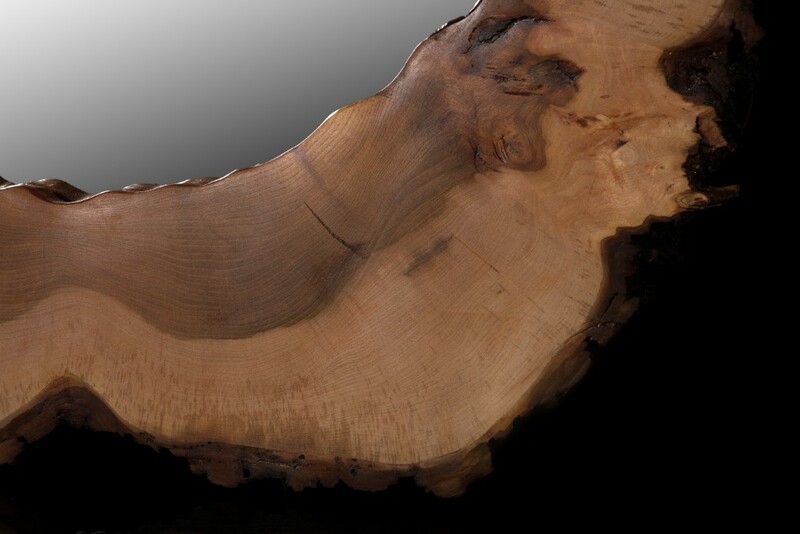 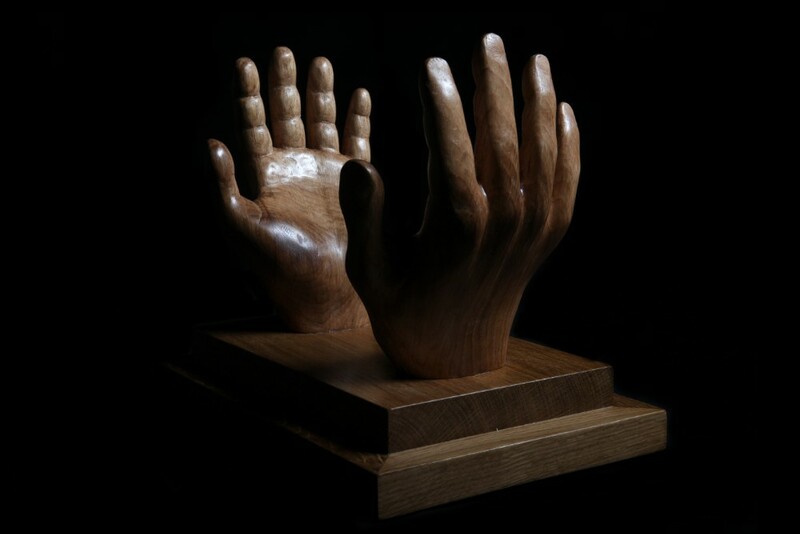 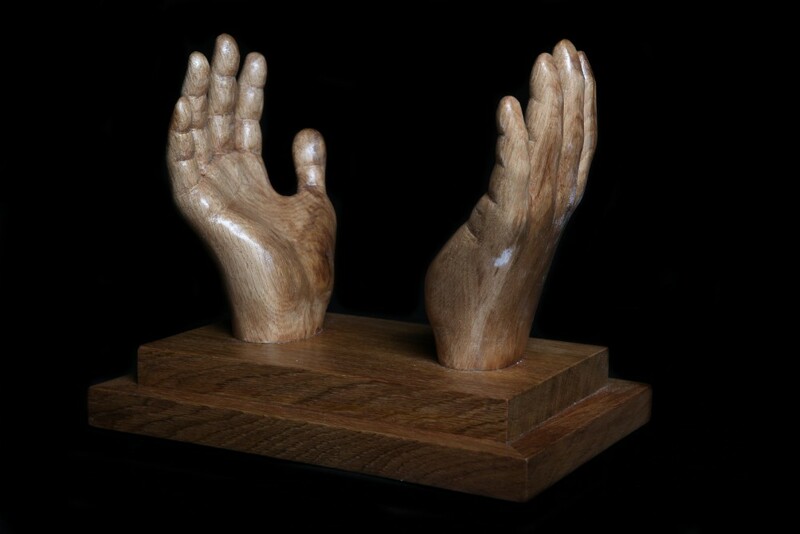 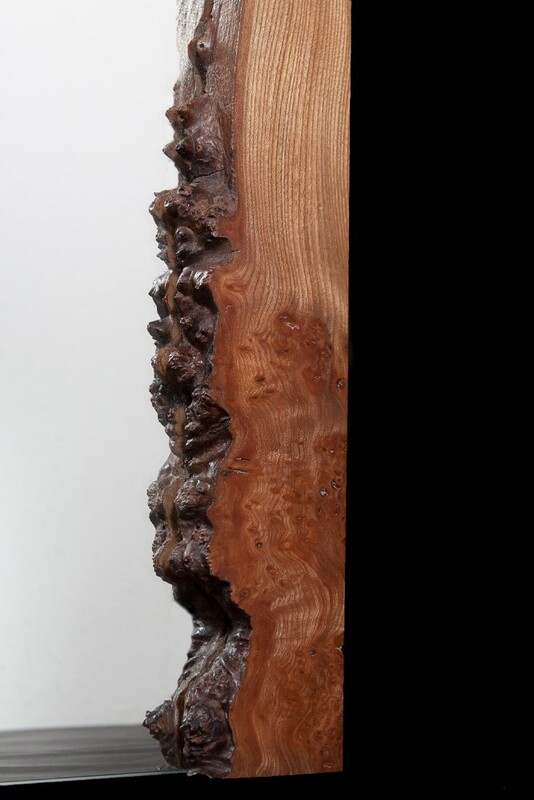 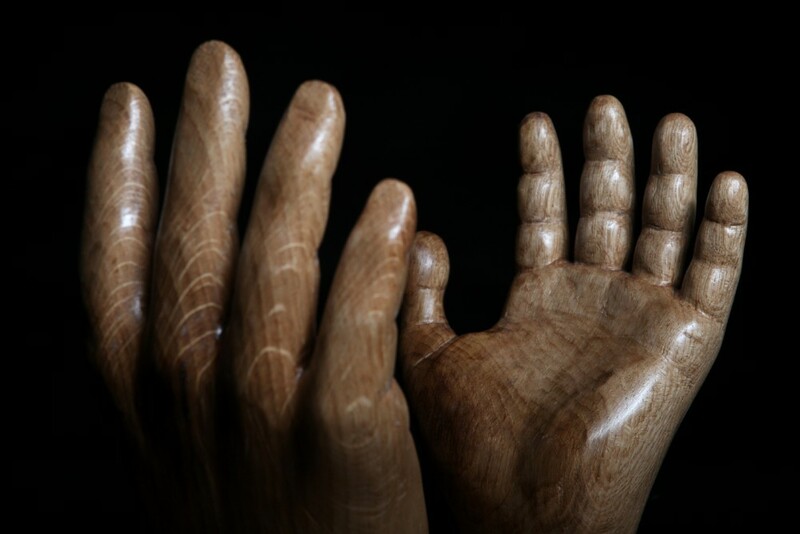 Made from Burr Elm. 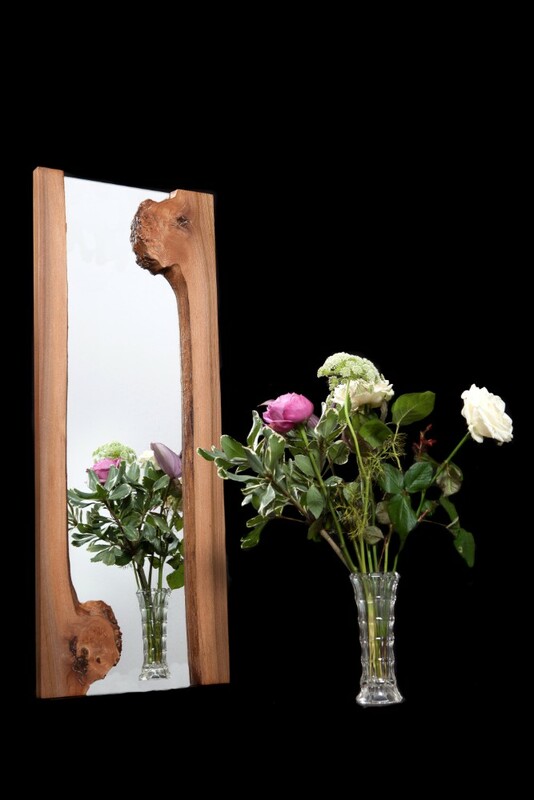 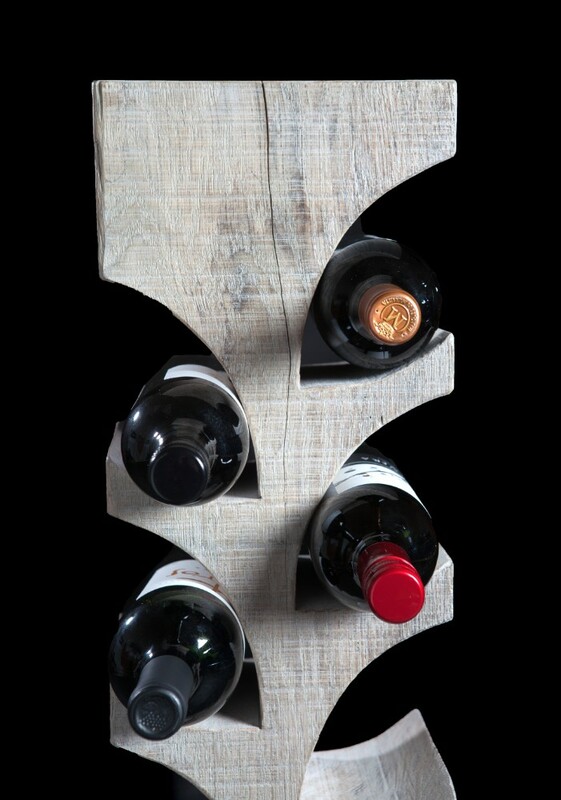 Made from solid chunky oak beams. 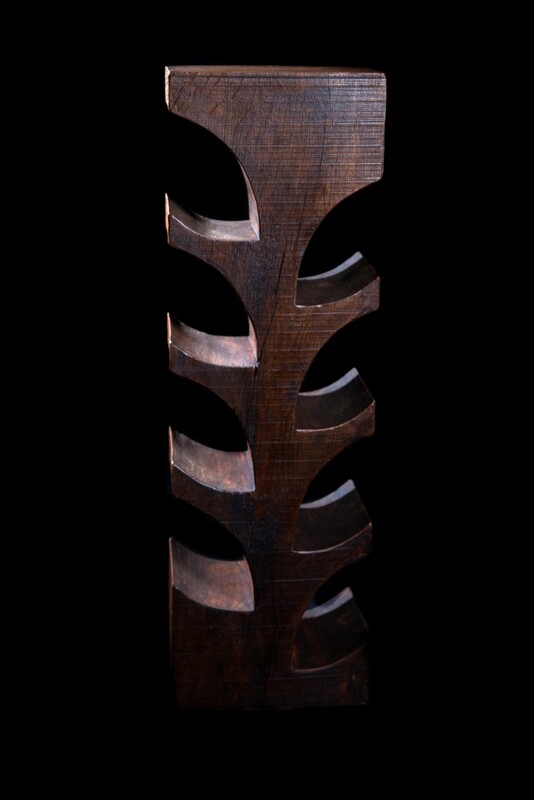 Dimensions: W150mm x L220mm x H700mm. 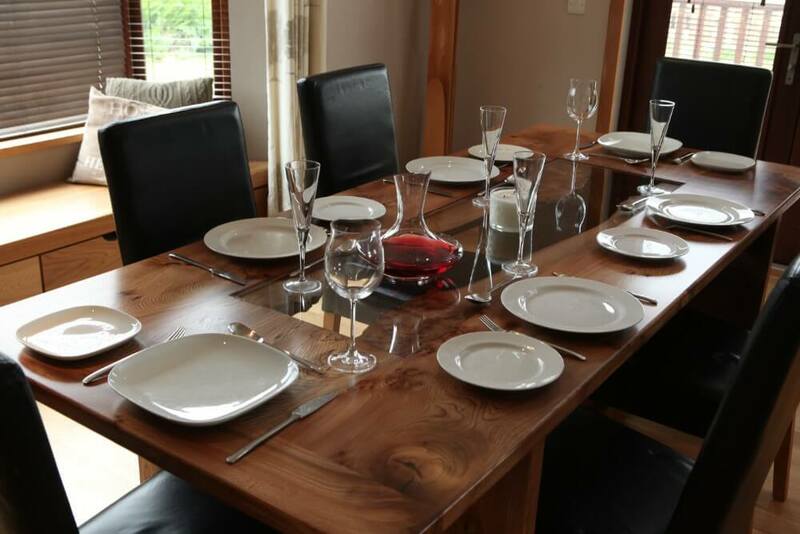 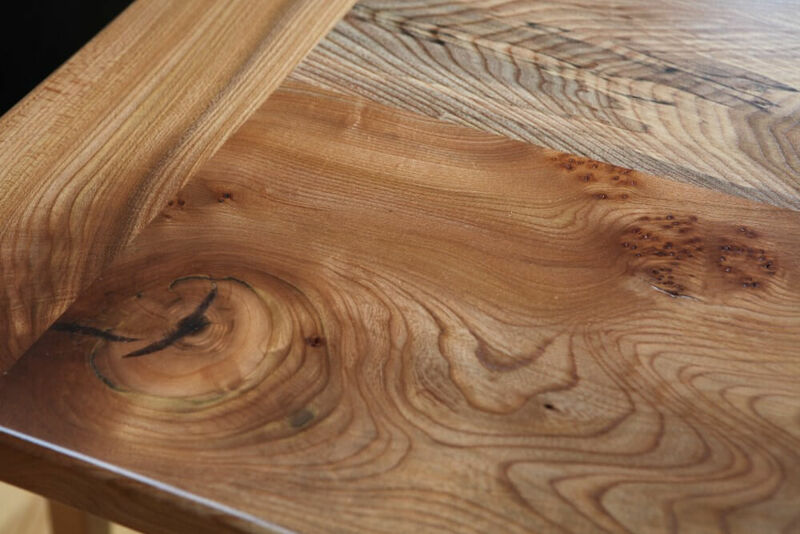 A contemporary design dining table with clean and crisp outer lines and a rugged and natural inner edge. 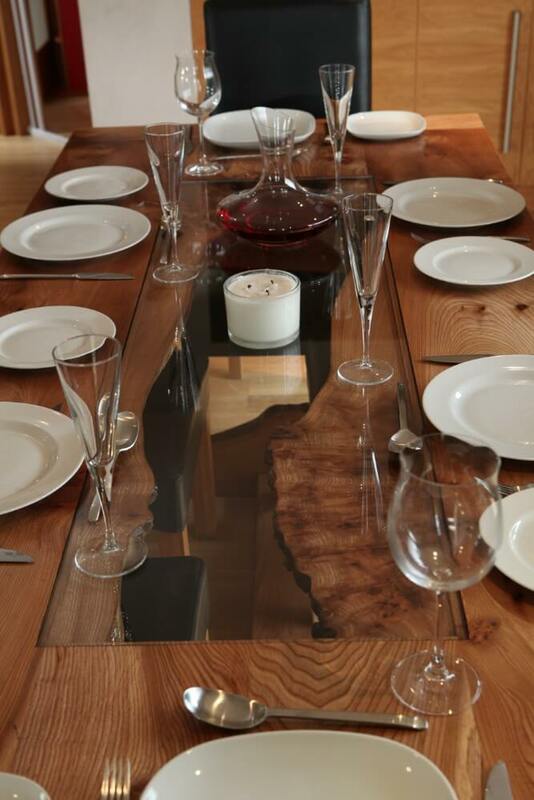 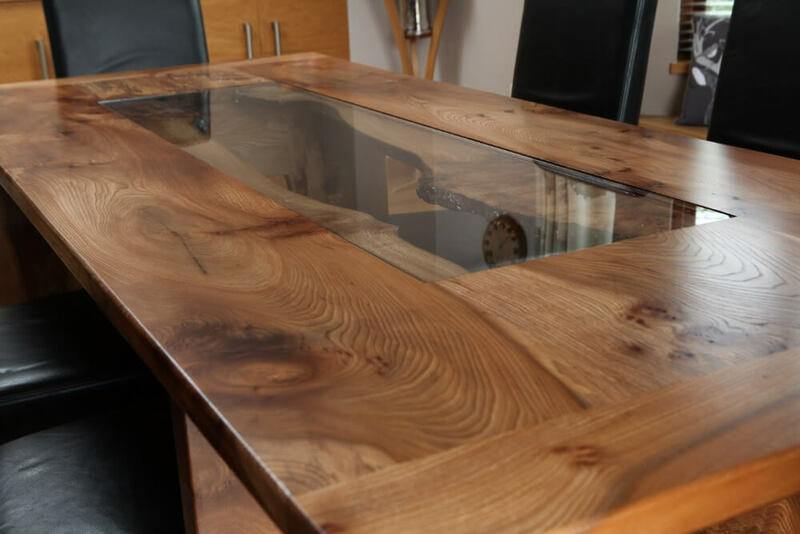 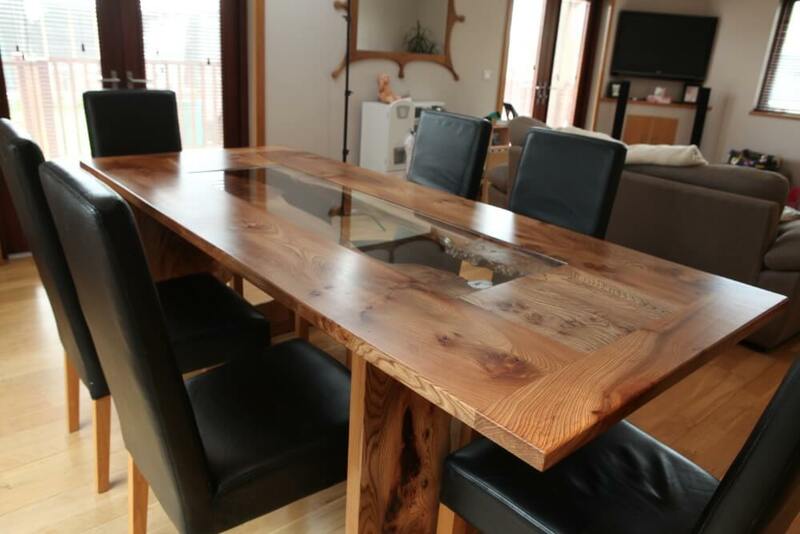 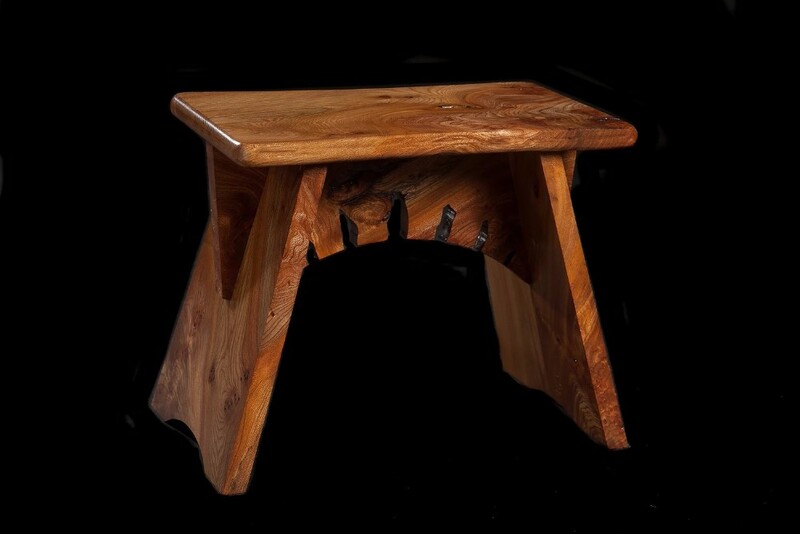 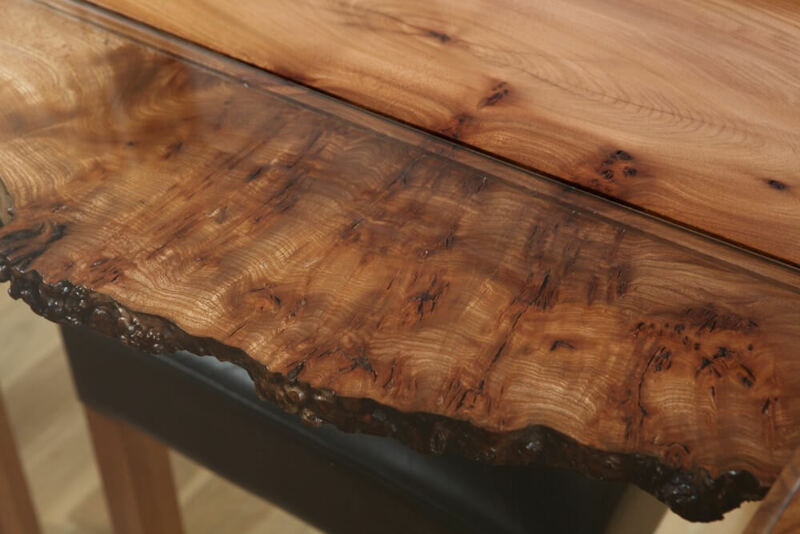 The Burr edge of the boards have been left exposed under a glass panel in the centre of the table and natural cracks and splits in the timber have been left exposed in a clear resin. 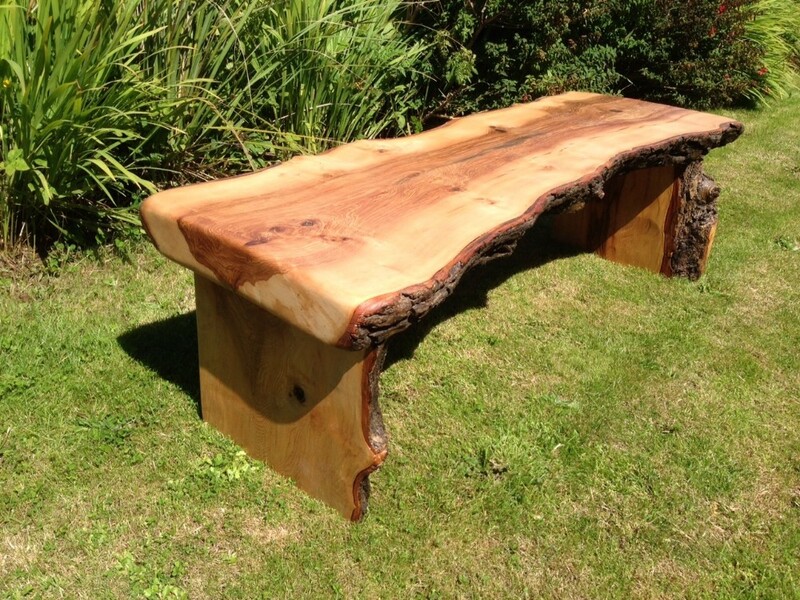 Rustic Ash garden seat finished with a UV protective oil. 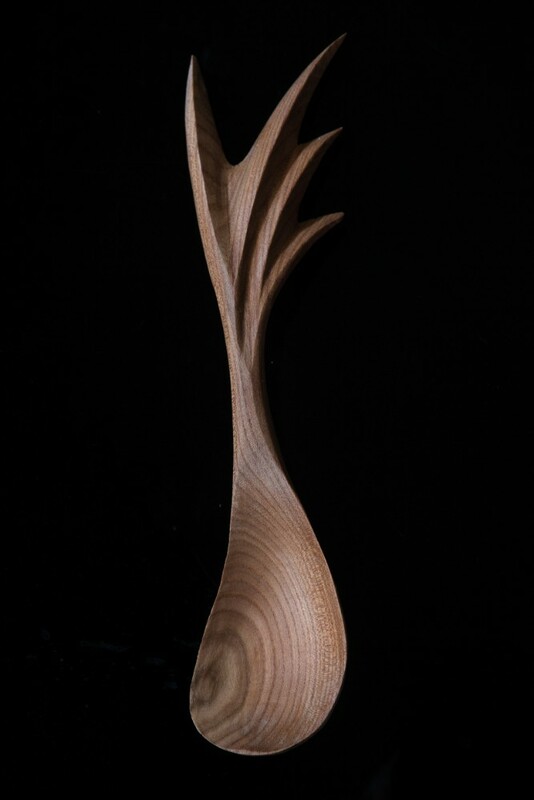 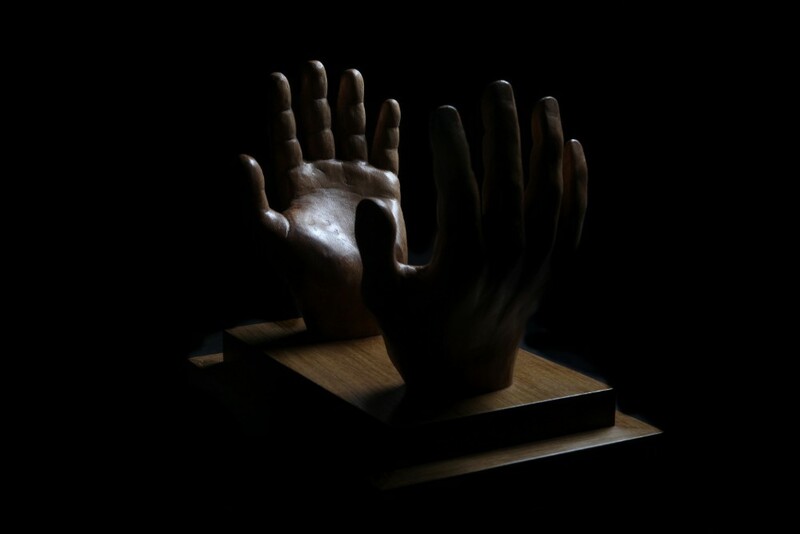 Hand carved display Trophy to hold a winners ‘Ba’ ball. 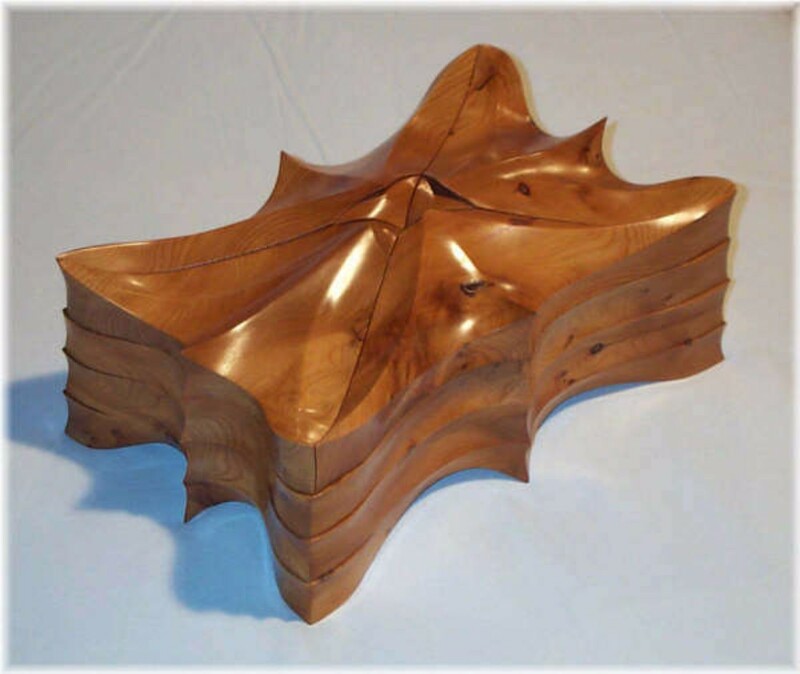 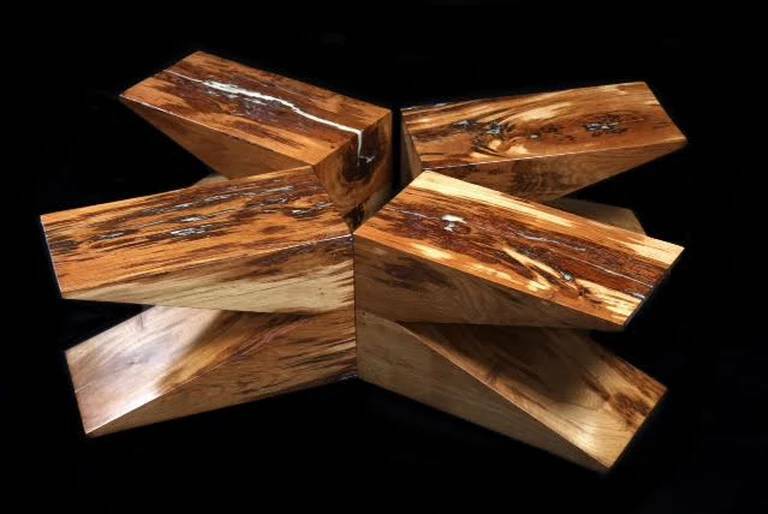 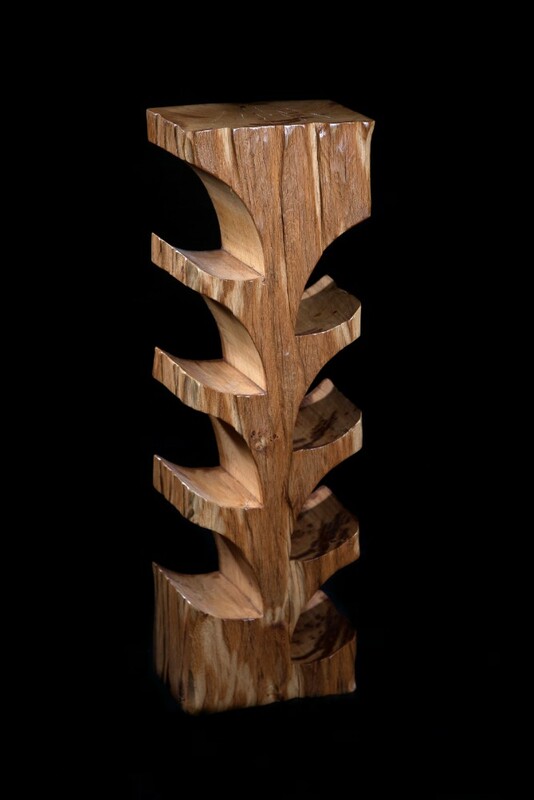 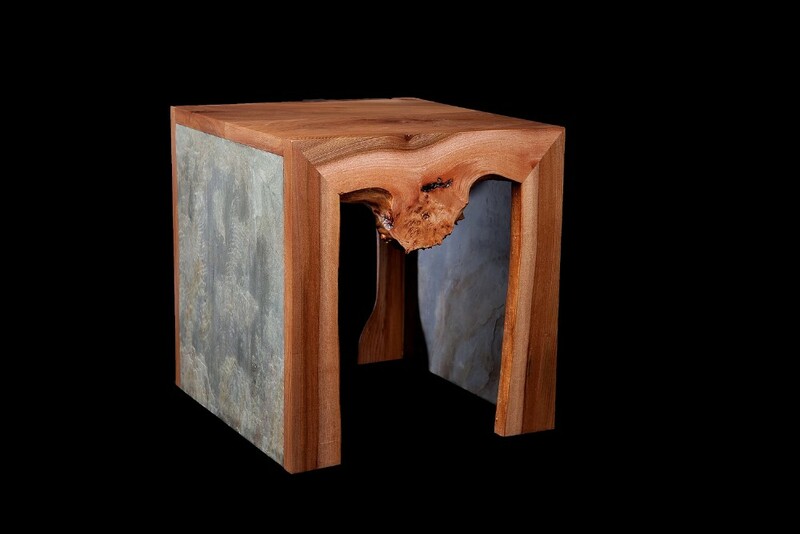 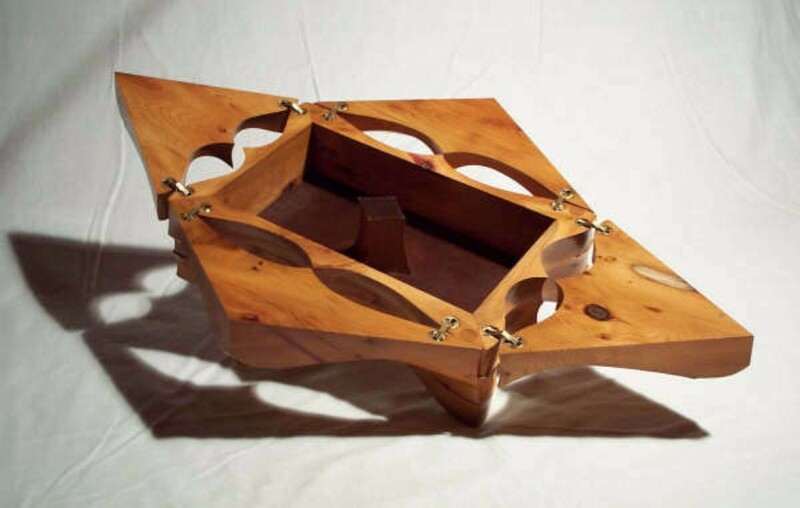 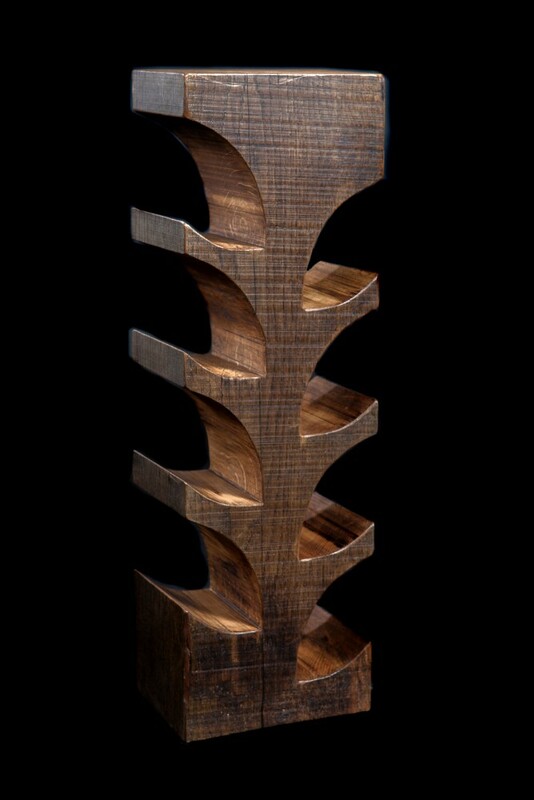 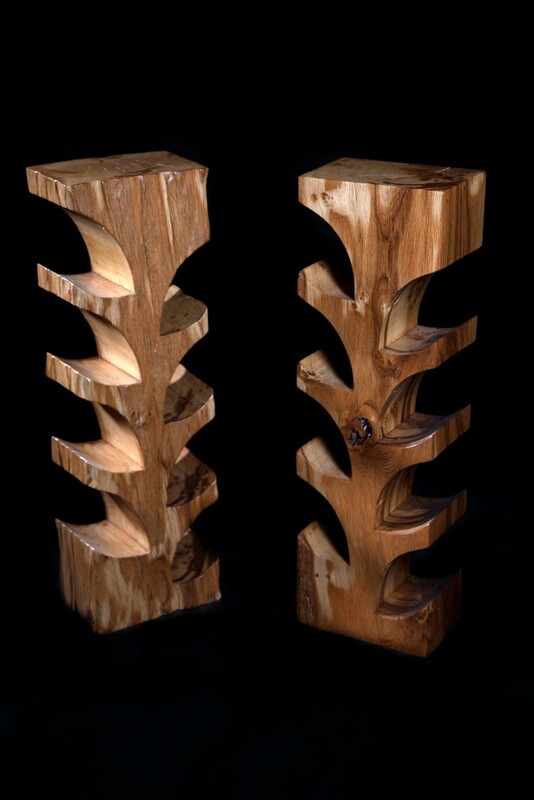 This stunning hand crafted box is made with a fluid design and has four separate opening leaves. 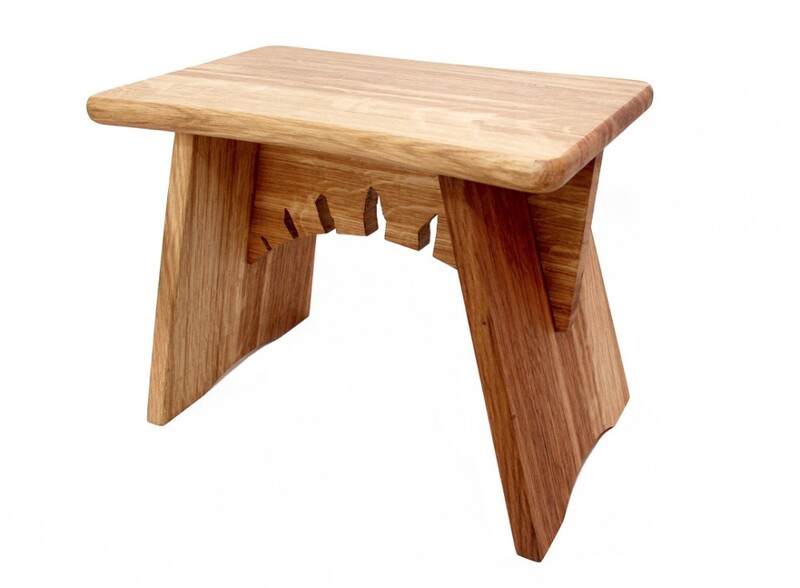 Depicts ‘Stones of Brodgar’ silhouette on central rail over half jointed support legs. 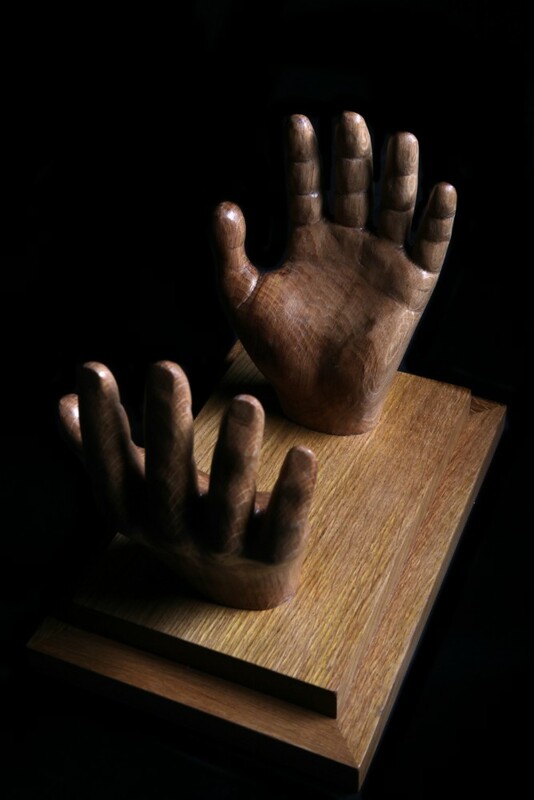 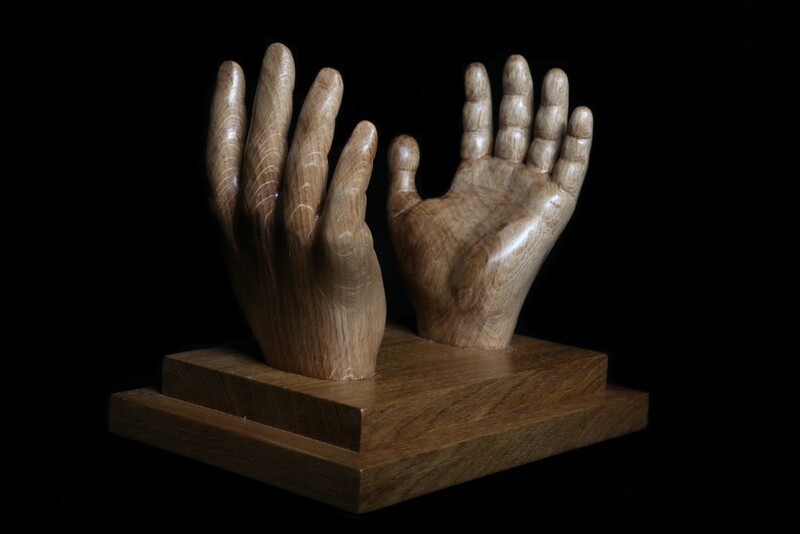 Ideal wedding gift that can have a personalised hand carved inscription added. 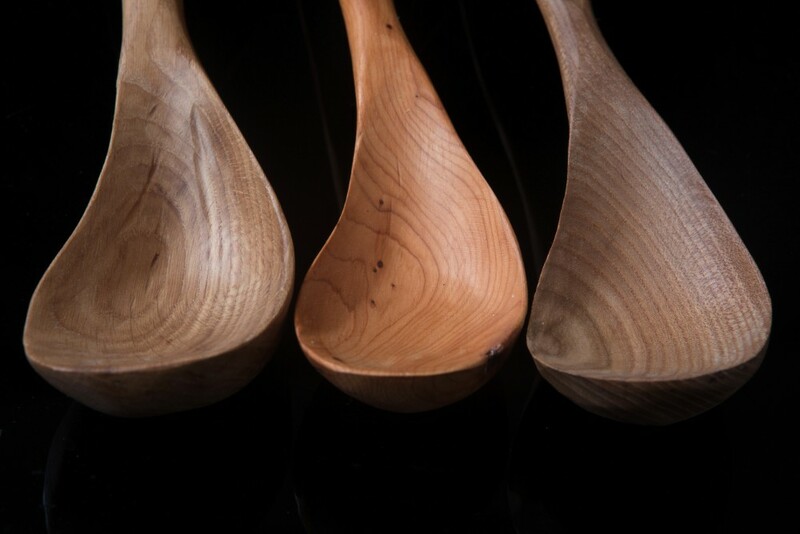 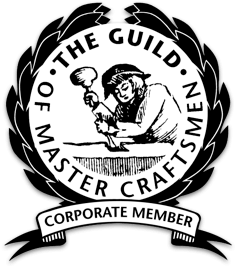 Made in Oak, Olive Ash, Brown Oak, Elm. 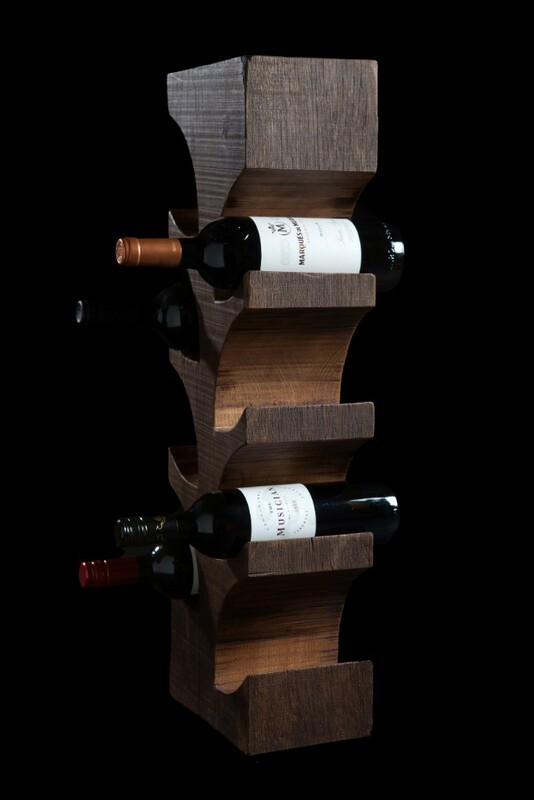 Dimensions: W230mm x L380mm x H300mm. 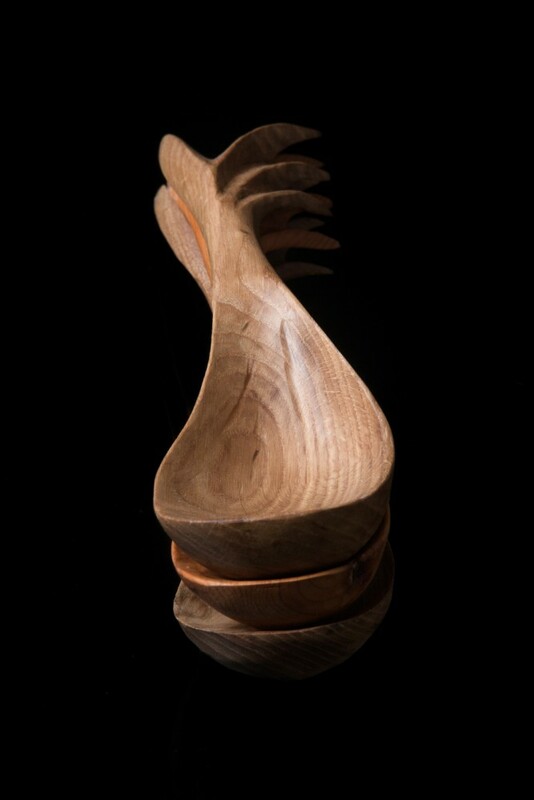 Merry dancers is another name given to the Northern Lights which are predominately seen over the night skies in Orkney. 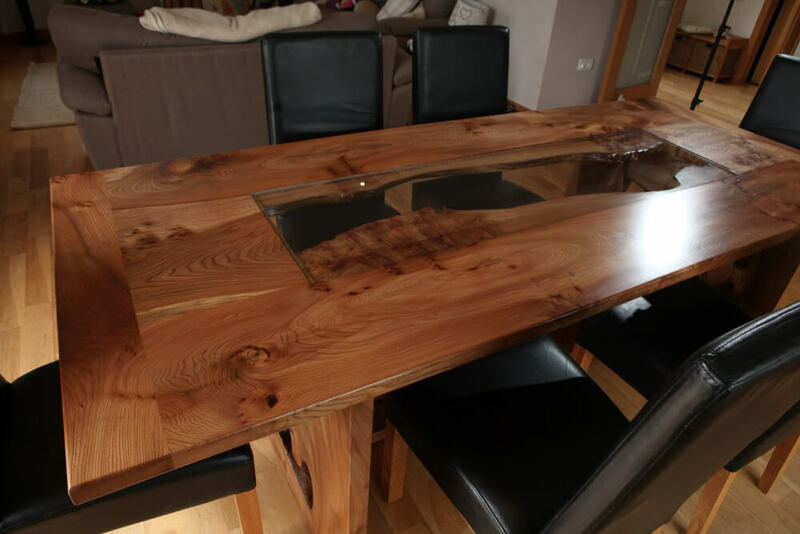 Made from over 150 year old weathered Scottish Oak. 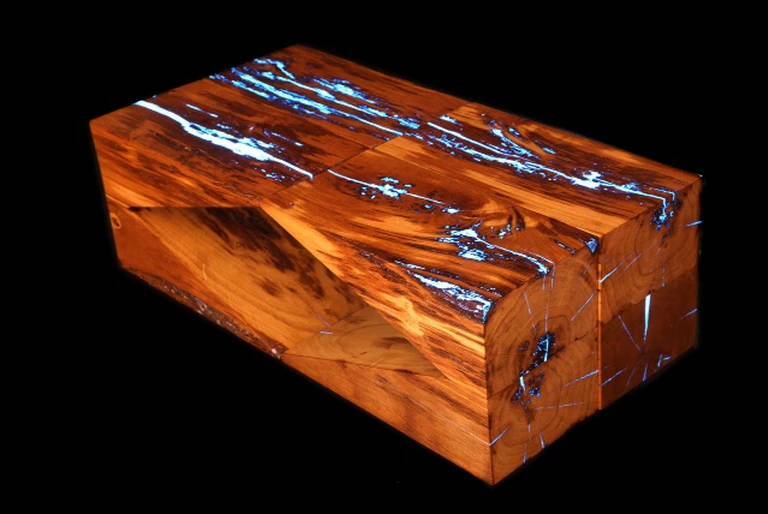 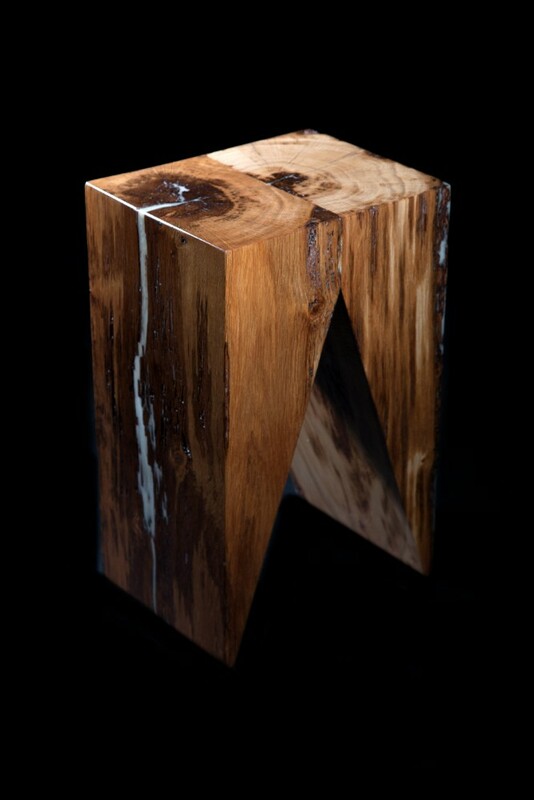 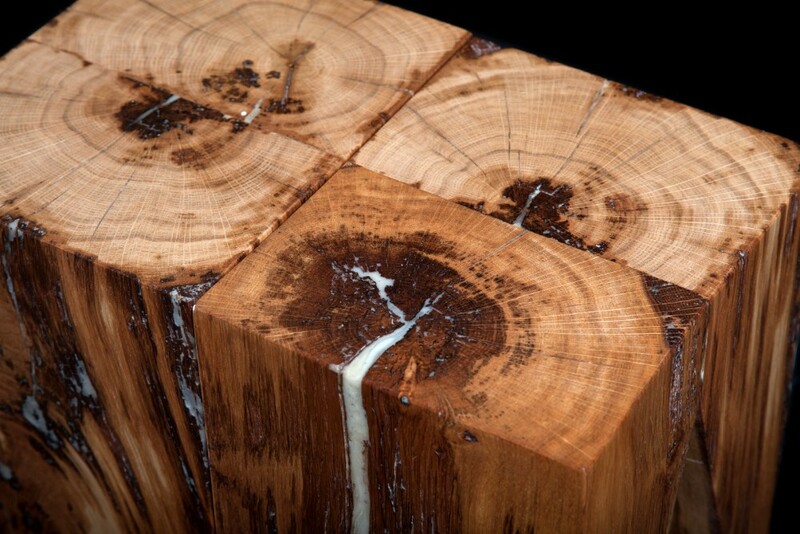 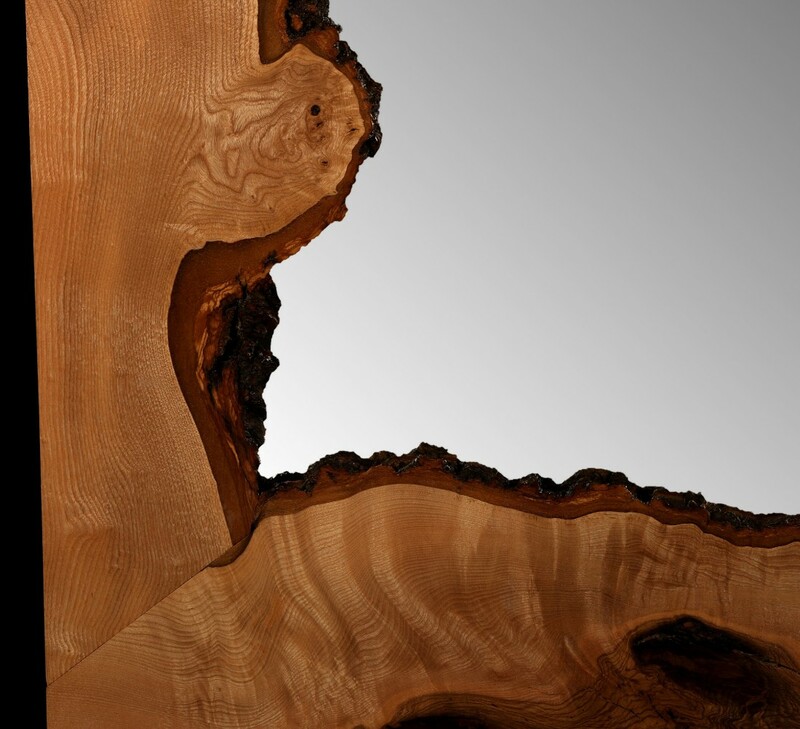 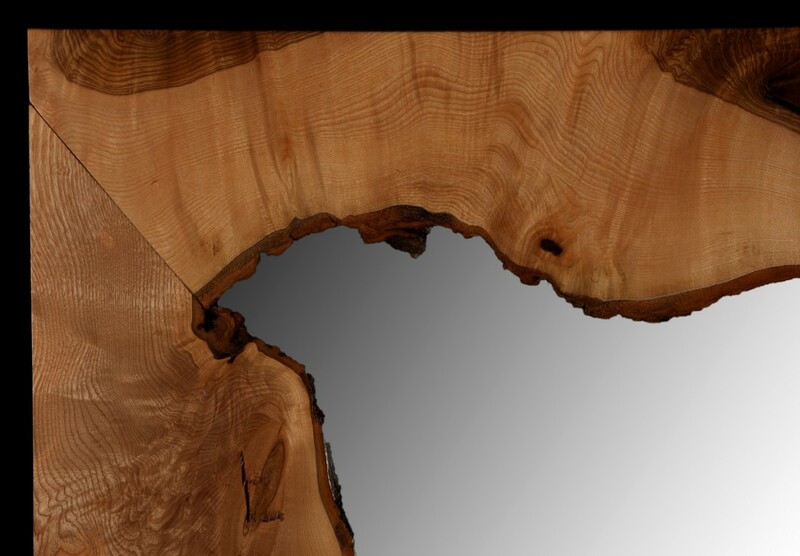 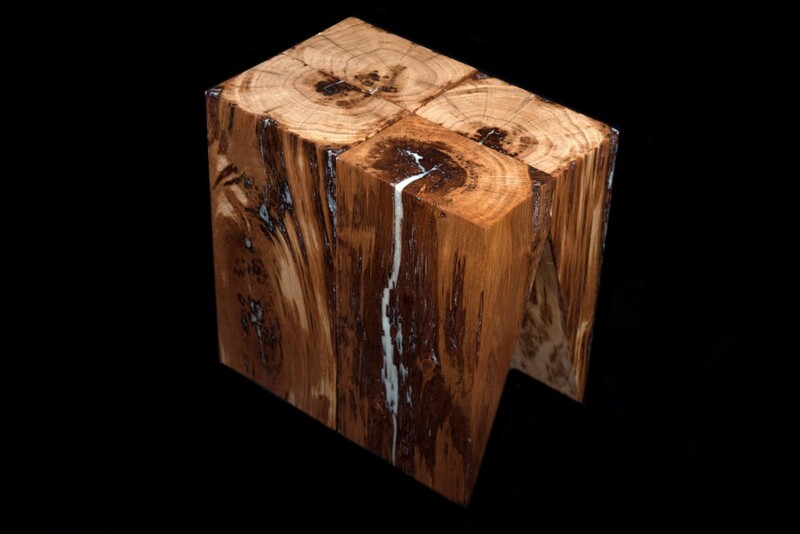 Natural splits and cracks in the wood have been filled using a luminescent resin to create this amazing visual effect. 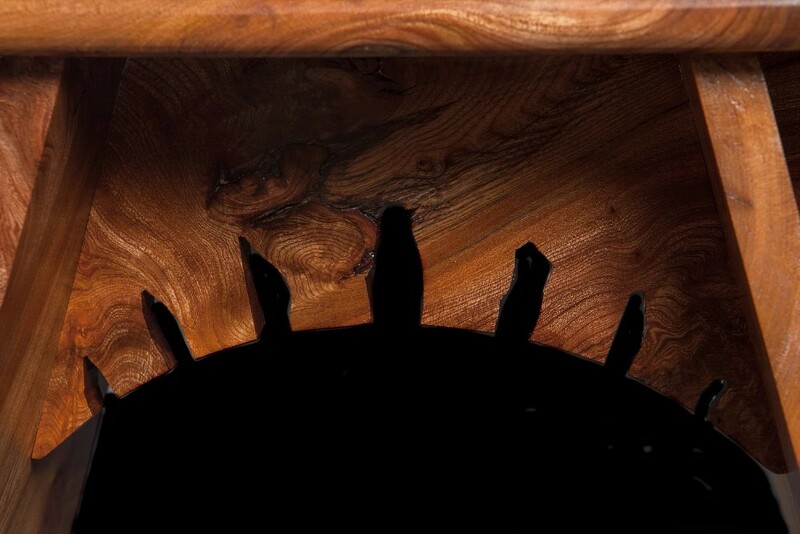 As little as half an hour exposure to light can give up to eight hours of Glow! 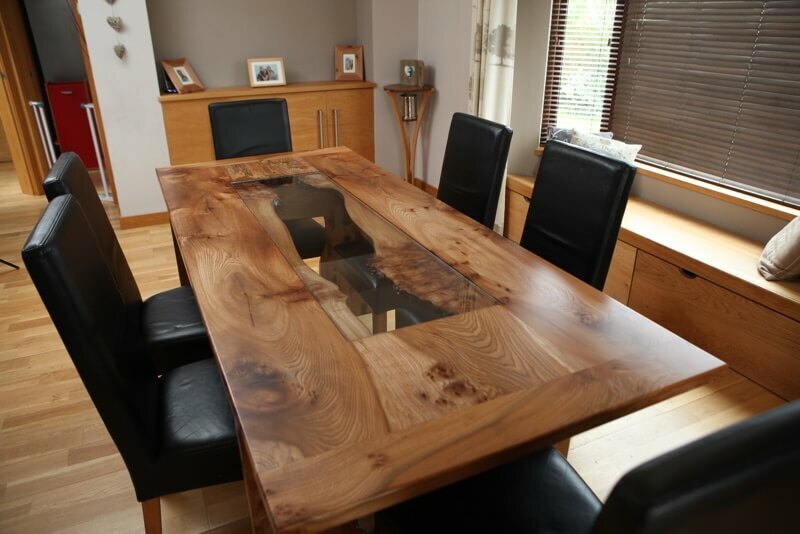 £499.00 each or £1,899.00 for set of four. 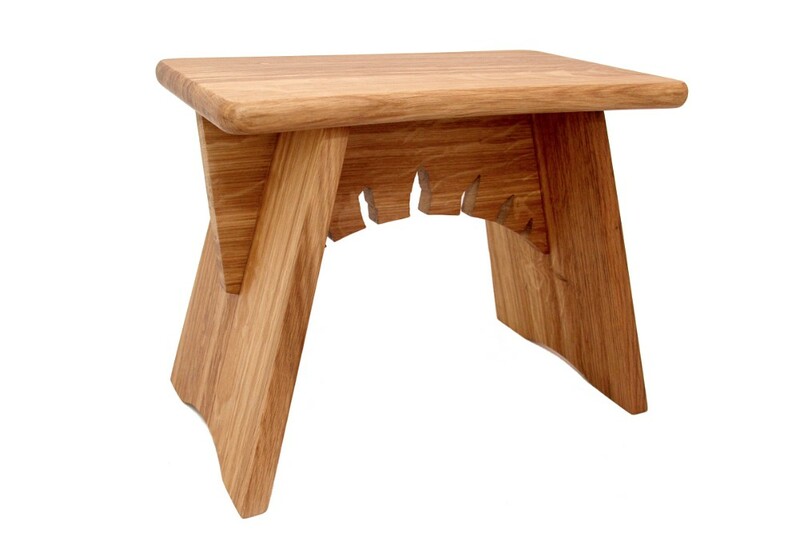 Can be used as a nest of 3, nest of 2 tables or individually. 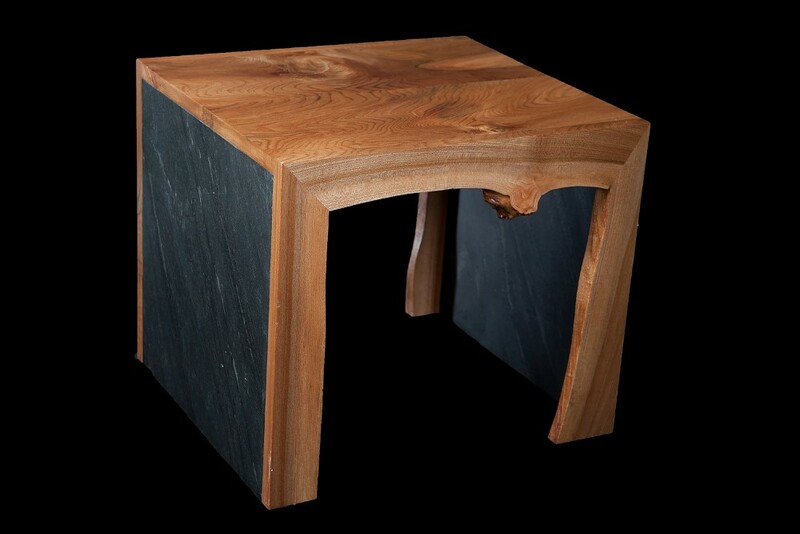 Made from Elm and Real Slate Veneer. 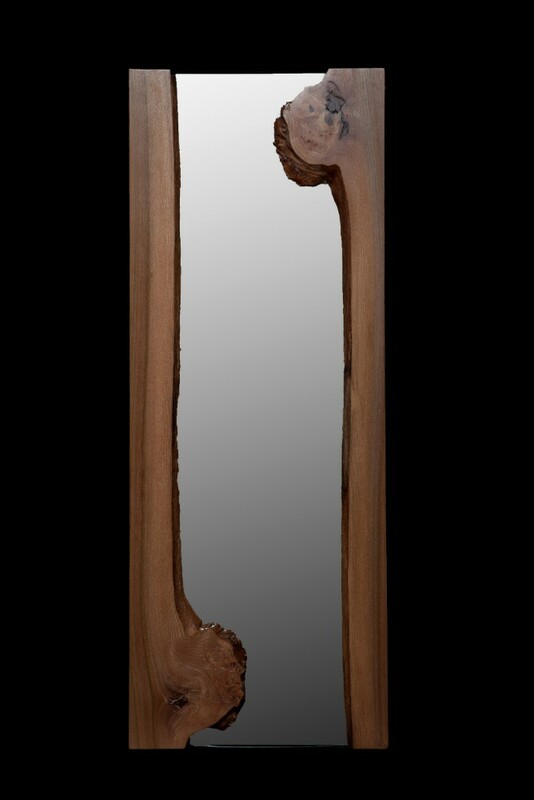 Dimensions: W580mm x L720mm x H570mm.